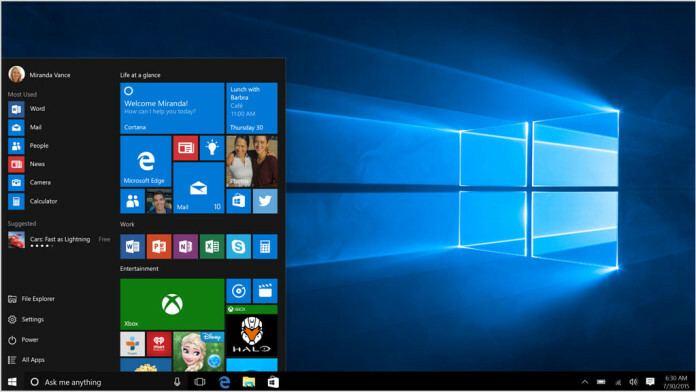 news The University of Newcastle (UON) this week said it would roll out Microsoft Windows 10 to around 10,000 devices across its campuses by the end of 2016. When the process is complete, it will be the first university in the world to roll out Windows 10 universally, the university said in a statement issued by Microsoft on the sidelines of the company’s Ignite conference on the Gold Coast this week. The move is part of the UON’s digital strategy aiming to put it on track to be ranked amongst the top 200 universities globally. Ann Walters, Associate Director for IT Client Services said the UON is committed to positioning itself as a world leader, instead of taking a ‘wait and see’ approach to digital transformation. “At UON, we have the opportunity to make great strides over the next five years, and we’re looking forward to leveraging Windows 10 to provide the best possible learning environment for our students,” she said. The decision to upgrade to Windows 10 was made following a pilot of the new operating system on 200 devices across the university. Walters said that the move was a “natural step” in driving greater collaboration across its different campuses, and that the Windows deployment is “just the start of what’s to come”. “With 40,000 students and campuses stretching from Sydney to Tamworth and all the way to Singapore, having the best technology to enable collaboration and innovation is critical in driving productivity for both staff and students,” Walters said. The university plans on having 3,000 devices for student use running Windows 10 by the start of the 2016 university year and the remaining 7,000 devices before the end of next year for staff. The university has also migrated to Microsoft Office 365. UON students have OneDrive with one terabyte of storage per student, as well as free downloads of Office under Microsoft’s Office 365 ProPlus Benefit. Staff are also piloting Skype for Business and SharePoint Online as the staff collaboration tool – with hope that the tool will replace a number of the University’s legacy communication systems in the long term. Evan Williams, Windows Business Group Lead at Microsoft Australia, said Windows delivers learning experiences integrating both pen and touch that create “great education outcomes”. Delimiter attended the Ignite conference on the Gold Coast this week as a guest of Microsoft. Wow, so UON is basically mandating Win10 for everyone? What ever happened to academic choice and the freedom of BYOD? Sure its looks great for Microsoft to be pushing the education agenda but I expect that mandated use of Win10 from central IT is not going to go down well with academics or students, especially those with iPhones, Androids and ‘other’ devices.. It is a fact that every organisation and education establishment must standardise on ‘something’. I remember when half the university labs I visited had standardised on Macs, despite them being far harder to manage from a backend perspective, had lower performance, and weren’t providing students with experience of real world tools and applications that they would actually encounter in the workplace. But I digress – W10 is great on new hardware, and is even better with active and enthusiastic support from Microsoft. So you go UON – I hope the love affair with the Microsoft stack leads to a long and happy relationship! I’m running it on 5 year old hardware with a couple of recent minor upgrades (SSD and extra RAM) and it runs great on that as well. Better than Win 7. I’ve seen numerous successful upgrades myself :-) But even for success stories, it is still a job of two to three hours to comprehensively test operation of the machine and all component software to give it a full tick of approval as 100% stable and reliable. For home users, that’s fine. In a professional environment, that costs dollars, and can be hefty ones. And when things go wrong, even if it’s just one thing, it can be maddening. We had one machine we wanted to run a comprehensive trial on, built in 2010, Core i7 920 with 32gb RAM. This was one where we absorbed the cost and did a lot in our free time to try to get it done. We thought it initially had one minor compatibility issue causing problems in Outlook (wouldn’t communicate with the server properly). This was a fresh wipe install, not an upgrade, all devices set up and worked correctly according to device list. Turns out the fully certified Microsoft drivers are a very very long way from perfect, and of course the vendors don’t provide W10 drivers for hardware that old. So you think your system is fully compatible, until you find one small issue you want to get to the bottom of, and then the whole thing starts unravelling as you follow the thread. We capped our effort off at sixty hours. We had three major issues we simply could not resolve. Even removing and uninstalling all but essential hardware and replacing the on board NIC with a new Intel server card. Microsoft MVPs were no help, these issues were all unique and we’re putting them down to unstable drivers that aren’t reporting honestly. We didn’t think we’d rack up anything like that much time – we thought it would be ten hours worst case scenario to resolve. Even at ten hours it is not economically viable to embark on such an upgrade. With something so open ended with no certainties, as I said I wouldn’t even recommend this process unless there were hundreds to thousands of identical machines in a pool to upgrade. Actually the point behind a move towards Windows 10, Office 365, and keeping everything new, modern and up to date (what Microsoft refers to as ‘Windows as a Service’) IS a push towards embracing BYOD.